Instagram will block a slew of anti-vaccine hashtags as part of an ongoing crackdown on medical misinformation spread by anti-vaxxers on the platform. 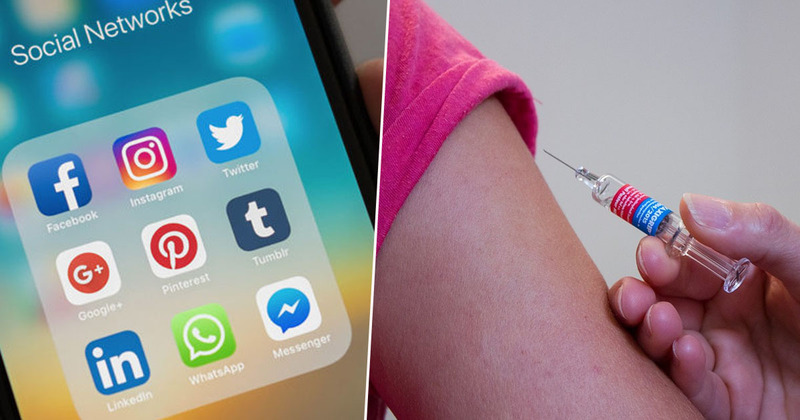 The Facebook-owned social media picture-sharing platform shared its plans on Thursday 21 March as anti-vaccine misinformation continues to spread online. The platforms have been breeding grounds for the anti-vaccination community, some of whom promote falsehoods linking vaccinations to autism. It’s a claim scientists and experts categorically disproved. The social media giants have been found to promote anti-vaccination material on their platforms. As part of our work to address health-related misinformation on Instagram, we’re looking at ways to minimize recommendations of this content and accounts that post it across Instagram – including in ‘Suggested For You’, Explore and hashtags. We noted that this process would take place over several weeks. But as we take action in the short-term we know that fighting misinformation is a long-term commitment. They said the platform’s planned short-term measures will include blocking hashtags associated with ‘known health-related misinformation including #vaccinescauseautism, #vaccinesarepoison, and #vaccinescauseids’. So, when you’re scrolling through the ‘Gram and come across an anti-vaxx hashtag, you will be able to click on it but you’ll simply be presented with a page without any results. Hashtags also will not show up in searches, reports The Hill. In other words, unless you’ve got loads of mates or family who are against protecting themselves from potentially fatal diseases through safe medical methods, you’ll probably never come across this crap again. The World Health Organization states it’s one of the 10 greatest threats to global health, adding ‘complacency, inconvenience in accessing vaccines, and lack of confidence’ underlie the apparent ignorance which creates vaccine hesitancy. That’s certainly the case for some social groups. For other entrenched anti-vaxxers, it’s a bunch of memes perpetrating an arsenal of falsehoods. The main ideology of the anti-vaccination movement of yore, Doctor of Public Health and epidemiologist, Dr René Nejera told UNILAD, focused on people’s freedom ‘to do with their bodies as they pleased’ including accepting or refusing government mandated vaccination. It’s still a part of modern arguments, despite global legal precedents being set around the world which clearly state no one is free to put others in danger by refusing to be vaccinated.